Congratulations on your admission to Illinois Institute of Technology! We look forward to welcoming you to campus for SOAR (Student Orientation, Advisement, and Registration). 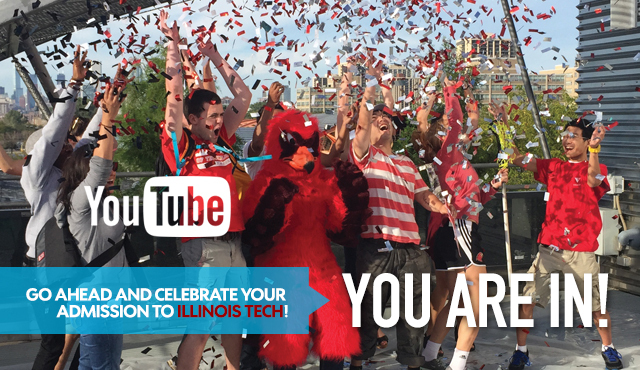 Illinois Tech is committed to the academic and personal success of our students. At SOAR, you will learn about the academic and social opportunities and resources at Illinois Tech, meet staff members on campus, receive academic advice from faculty members in your chosen major path, and register for classes (fall only) for your first semester. This is also a great time to begin creating friendships with other incoming and current Illinois Tech students, facilitated by your SOAR Leader. So...are you ready to SOAR?